We’re currently out on safari enjoying some fine hunting with our good friends from Sweden. Early morning success on a Warthog has given us a free minute to share some news from the field. Most importantly, we’d like to satisfy the trophy picture cravers who’ve been mailing us on a daily basis begging for more! 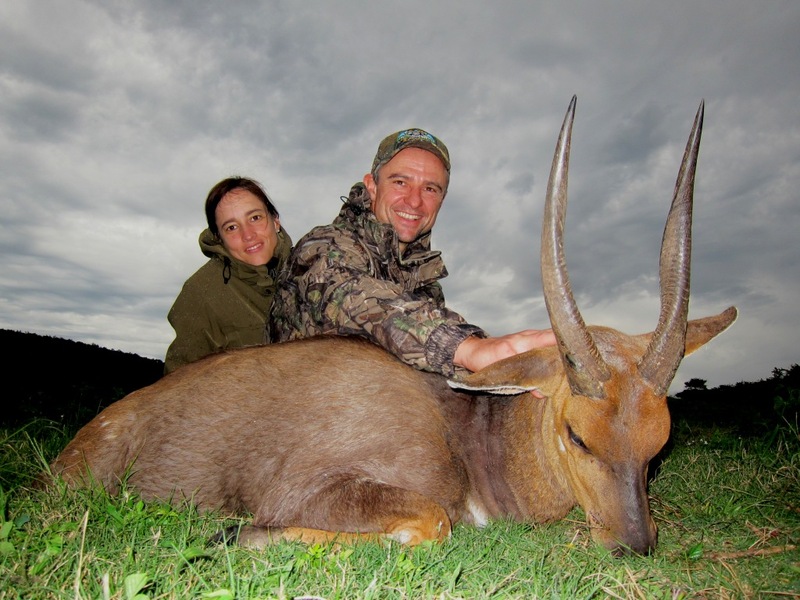 Andres and Marta Nunez Lagos joined Professional Hunter, Greg Hayes, on their second hunt to John X Safaris during early May. 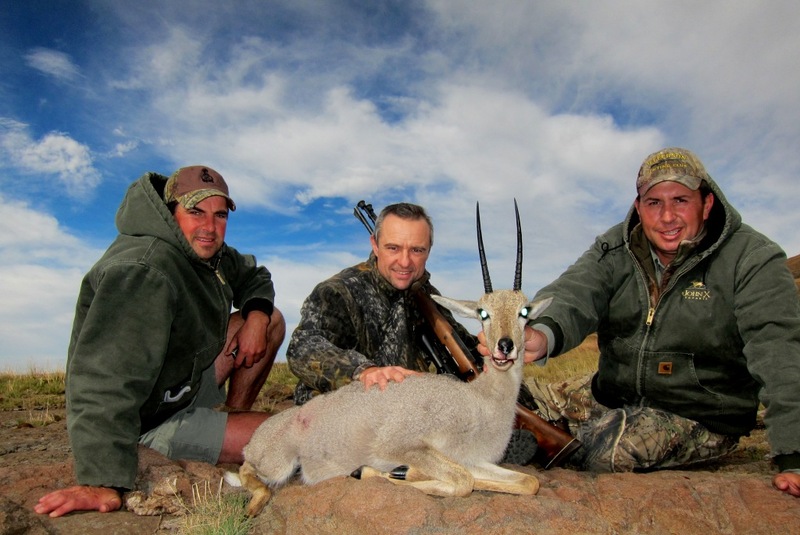 They were after a variety of specialized East Cape species, including Cape Bushbuck, East Cape Kudu, Vaal Rhebuck, and Cape Grysbuck. From the coastal forests to the vast plains of the Karoo, and up to the mountains – come along to our John X Safaris Facebook fan page and view their fantastic safari album.